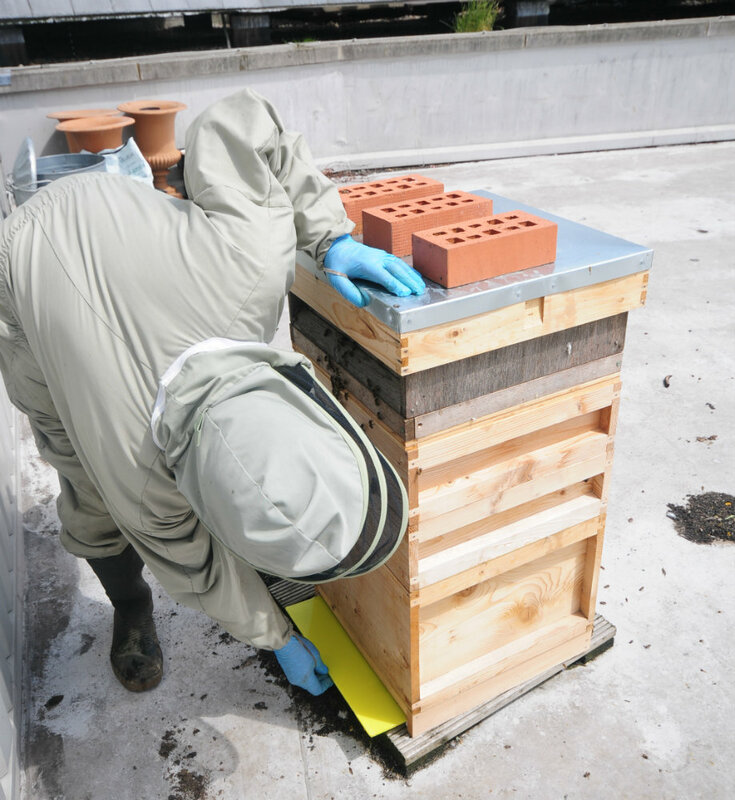 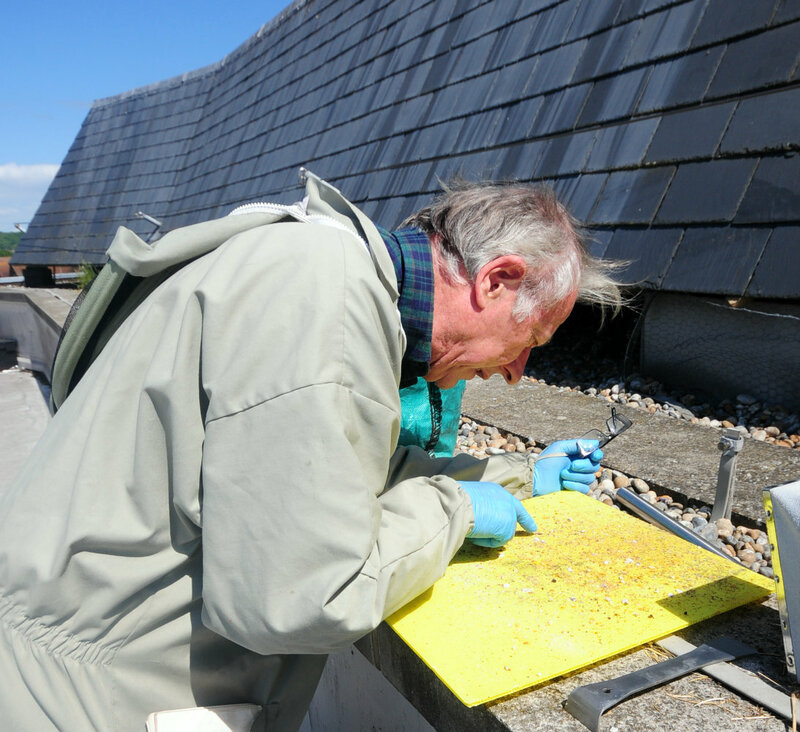 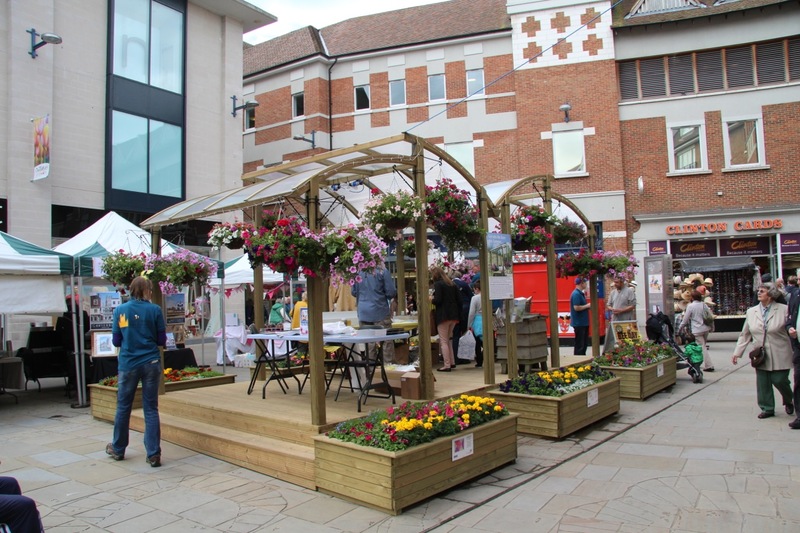 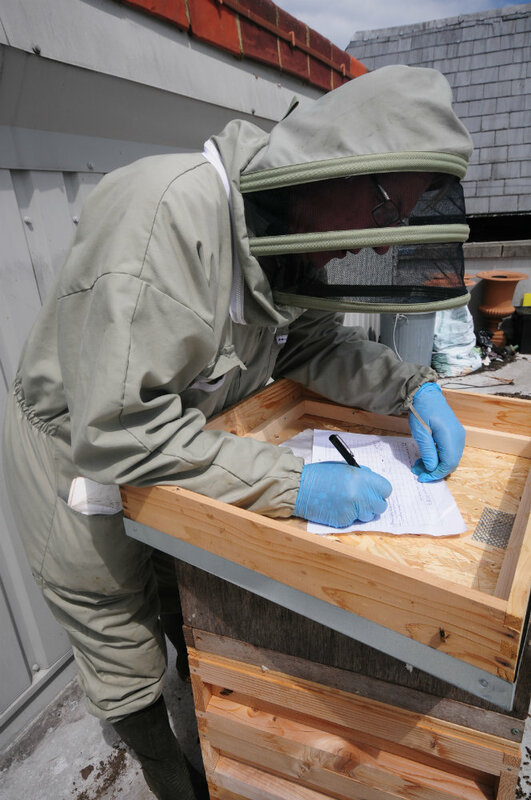 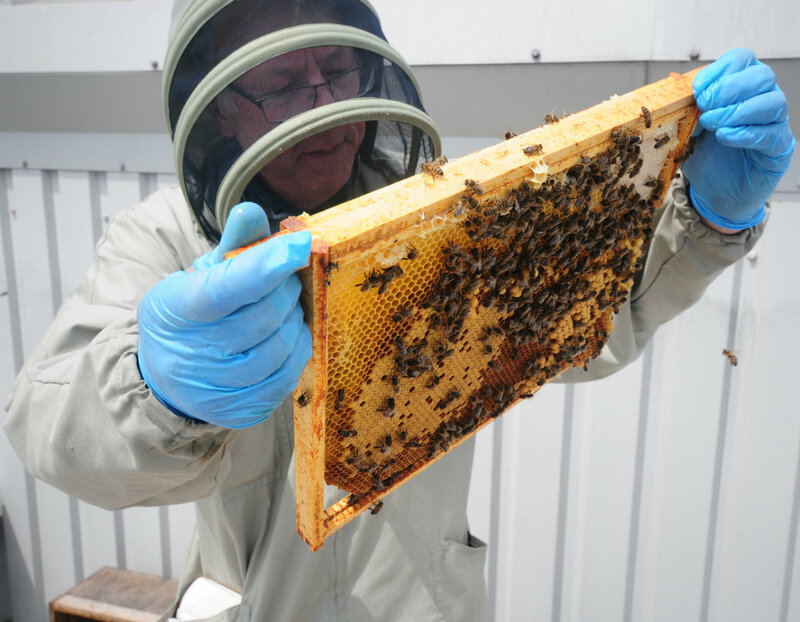 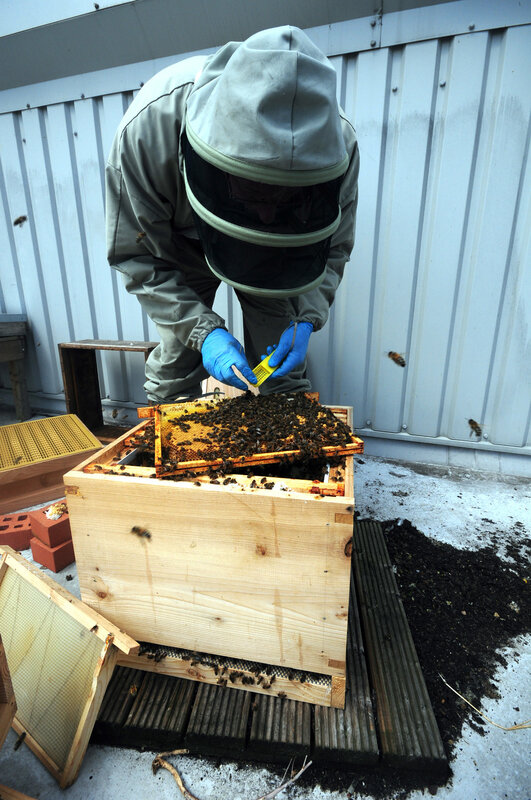 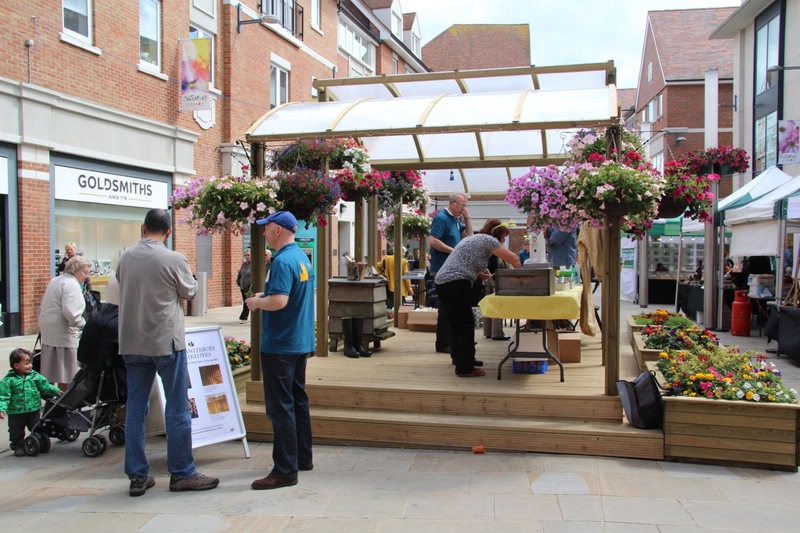 As a prelude to the Canterbury in Bloom initiative by Canterbury City Partnership in 2012, we have installed two beehives on the roof above shops in Whitefriars. 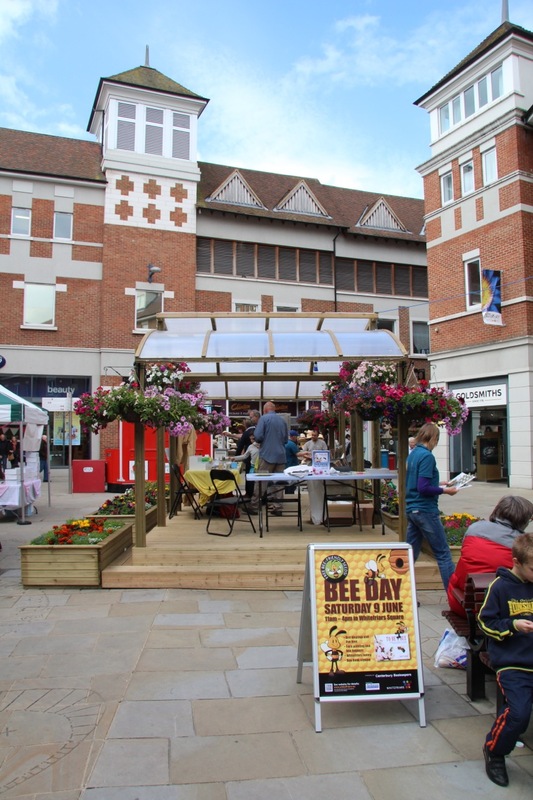 We’ll use this page to keep you updated about activities there. 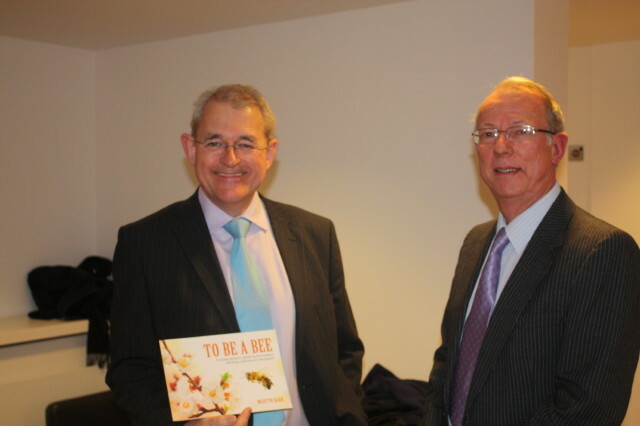 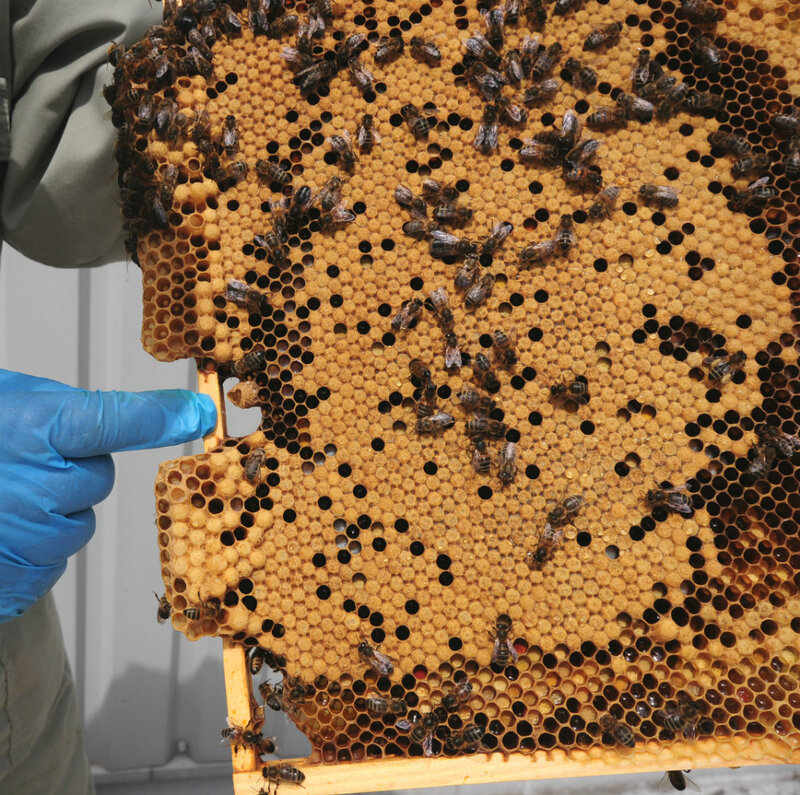 Julian Audsley has led the initiative, and we’ll need others to help out making sure the bees are well looked after. 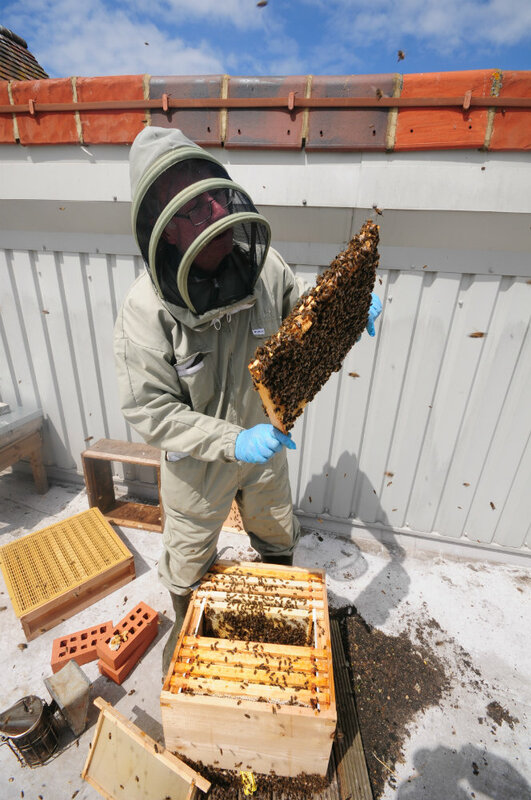 Maggie Mackenzie is leading a group working on flower planting on the roof, and there will be plenty of opportunities for folks to help out with apiary management. 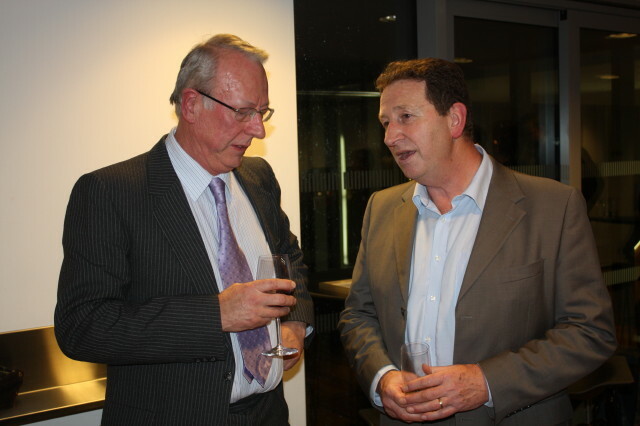 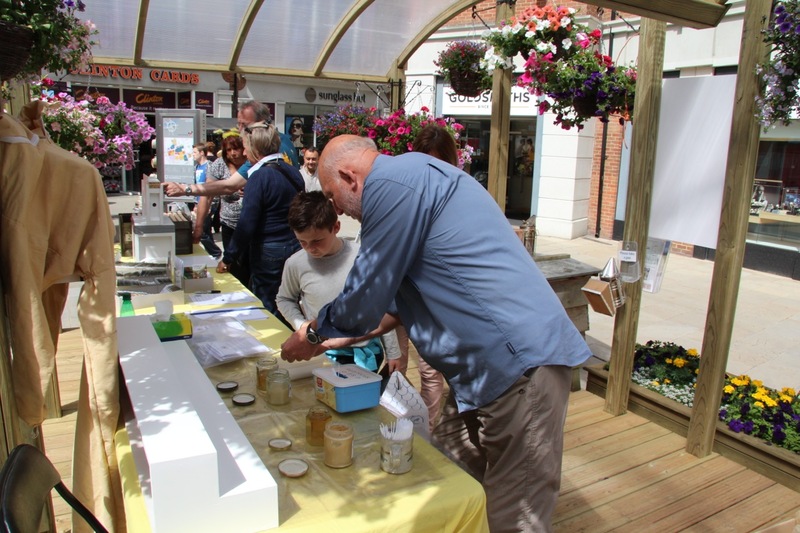 If you want to know more about Whitefriars, click here. 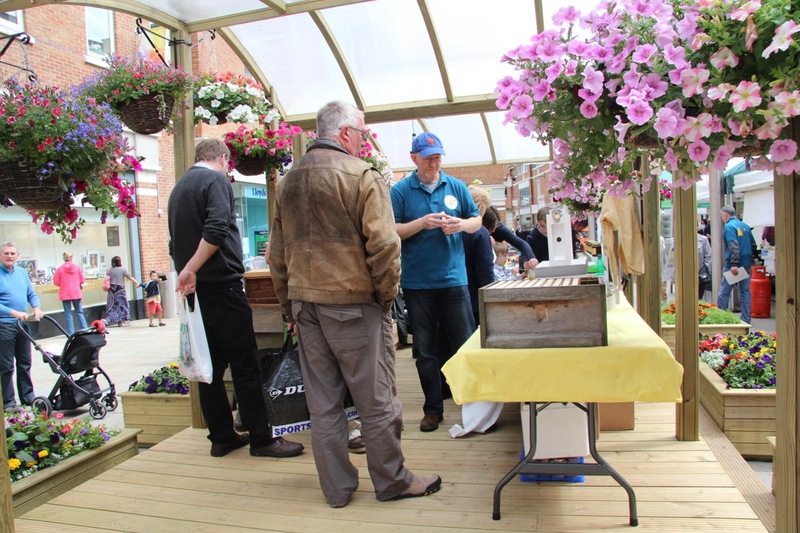 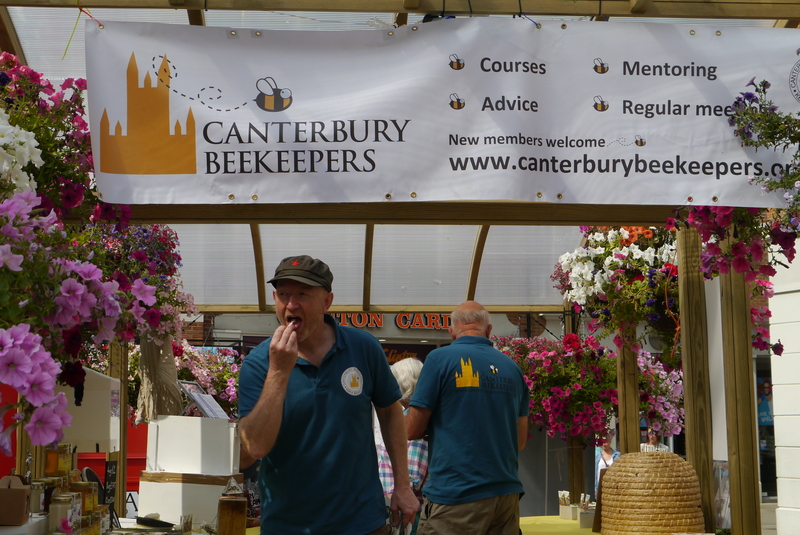 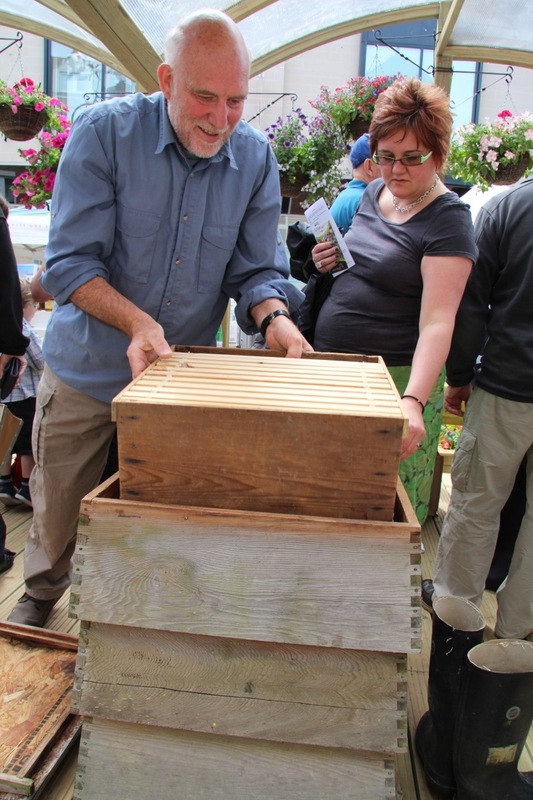 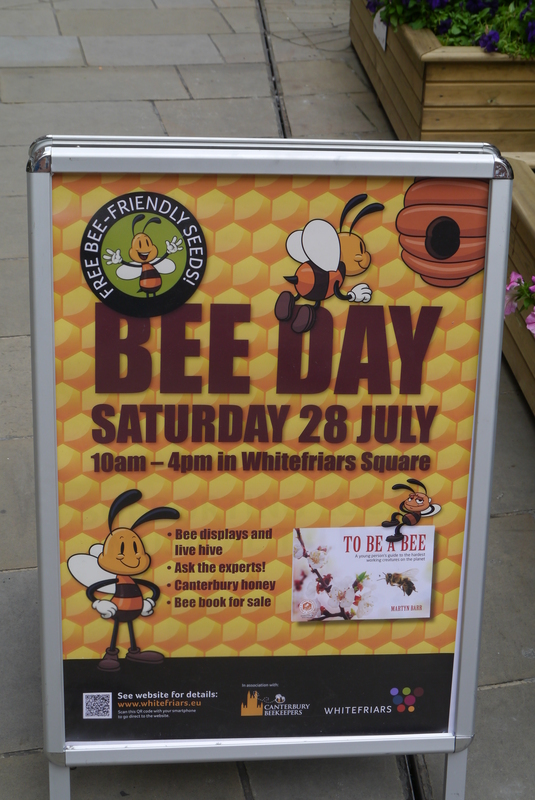 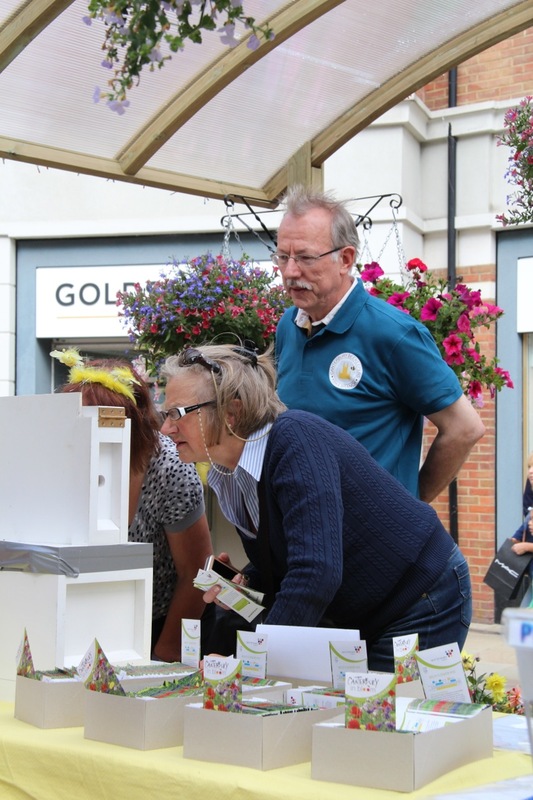 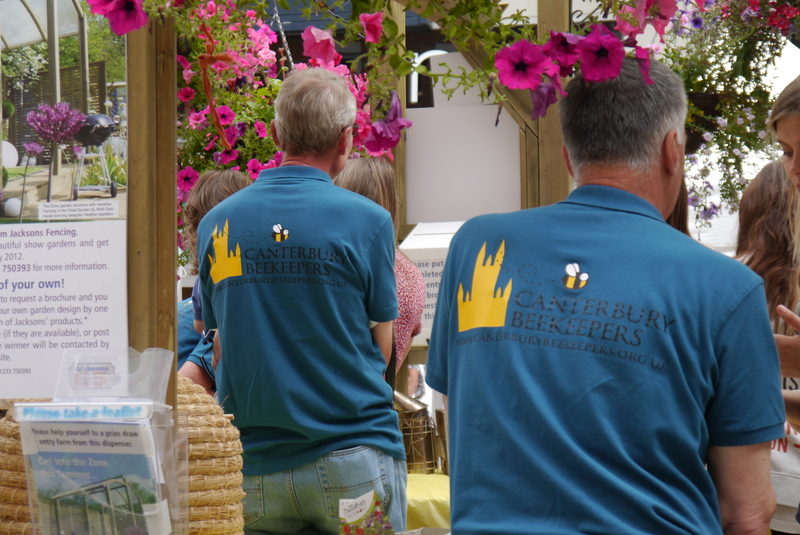 Update: here are some photos of CBKA members manning a “Bee Day” stand in Whitefriars on 9th June. 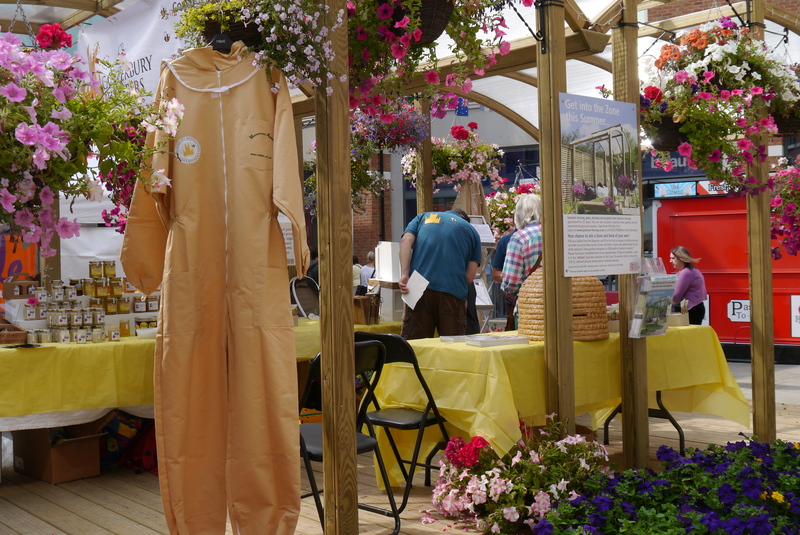 Lots of people were interested in the honey-tasting and the observation hive, our new polo-shirt design was admired, and the weather stayed fine all day! 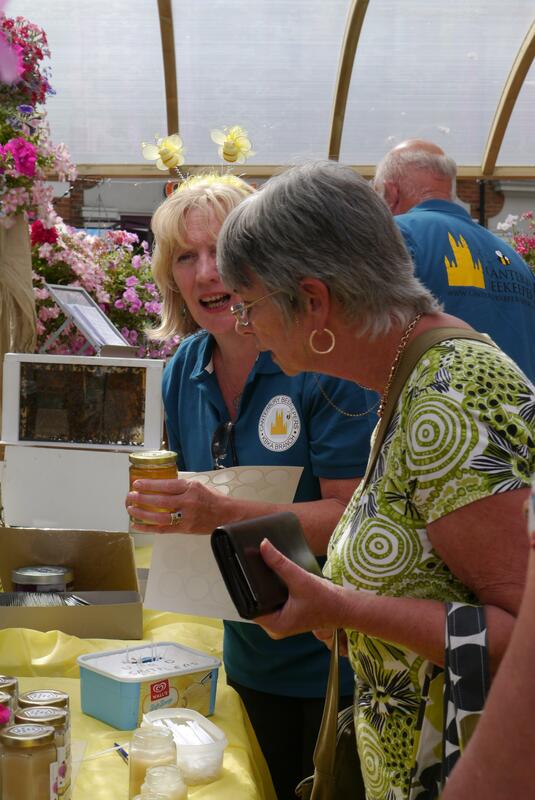 We also were able to attract a few interested people to our apiary meeting the following weekend. 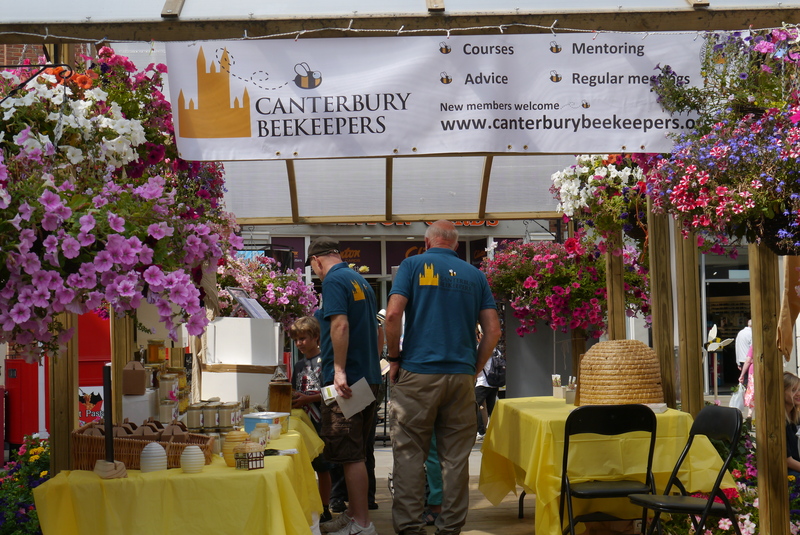 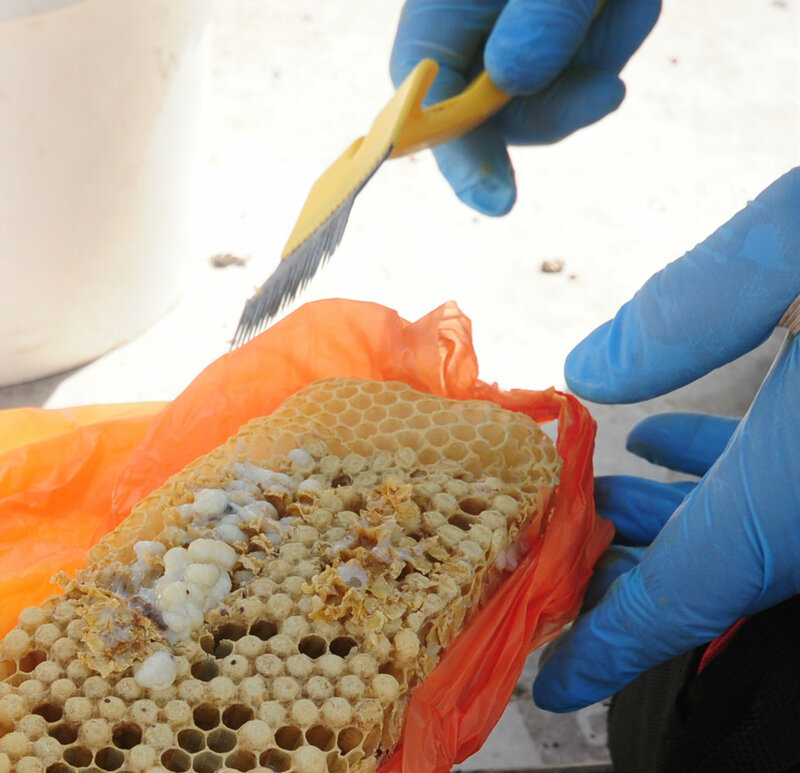 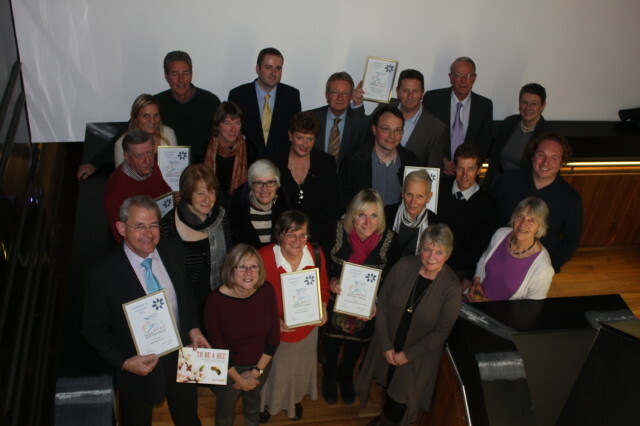 Our second session of presenting bee keeping to the local community in Canterbury, was another resounding success. 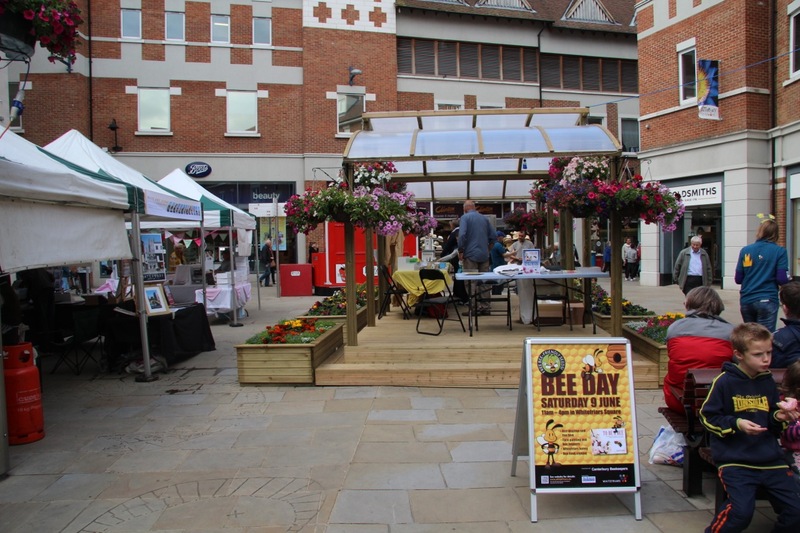 We occupied a prime location in the heart of Whitefriars Shopping centre and attracted people onto the stand with the incentive of free wildflower seeds and “bee buddy” stickers for the children. 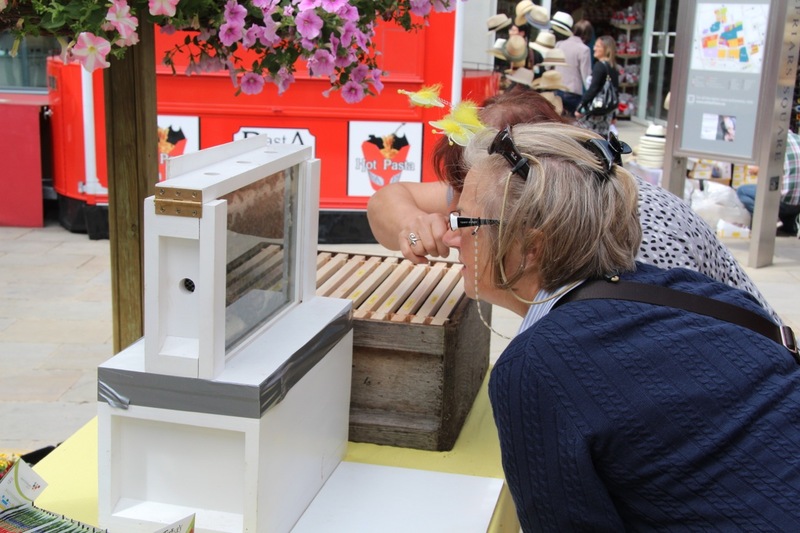 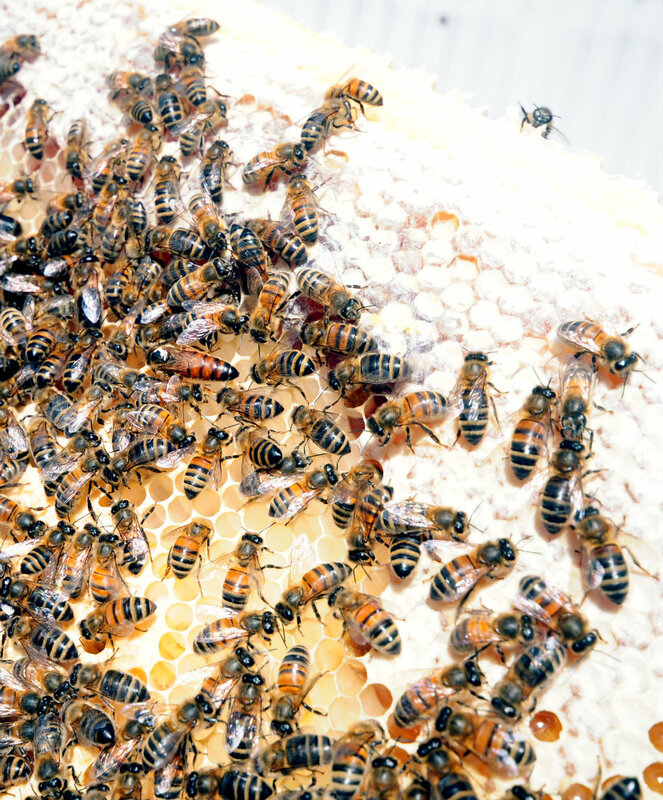 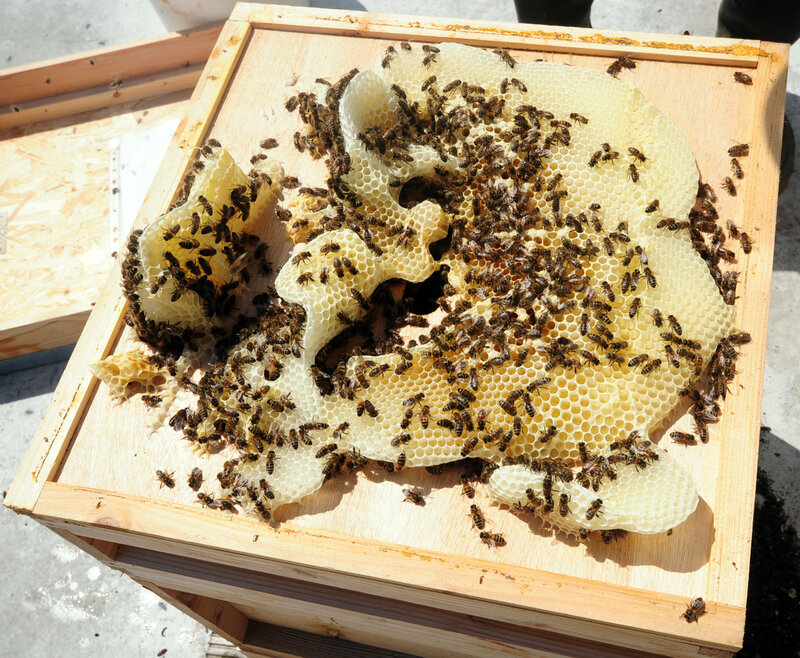 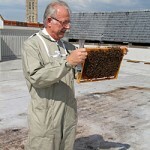 The observation hive was a real crowd-puller with an offer of a free pot of CB’s Honey if anyone could find the queen! 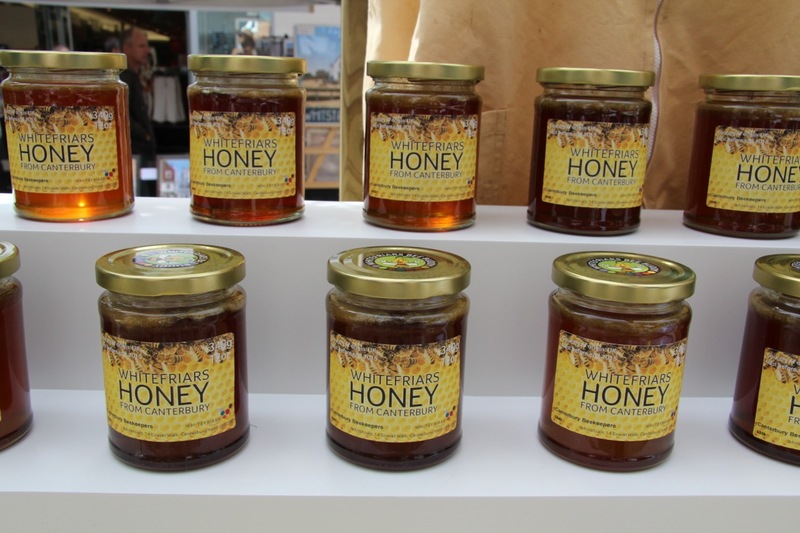 Honey tastings led to brisk honey sales with the Dave Cockburn’s “Whitefriars Honey” selling out! 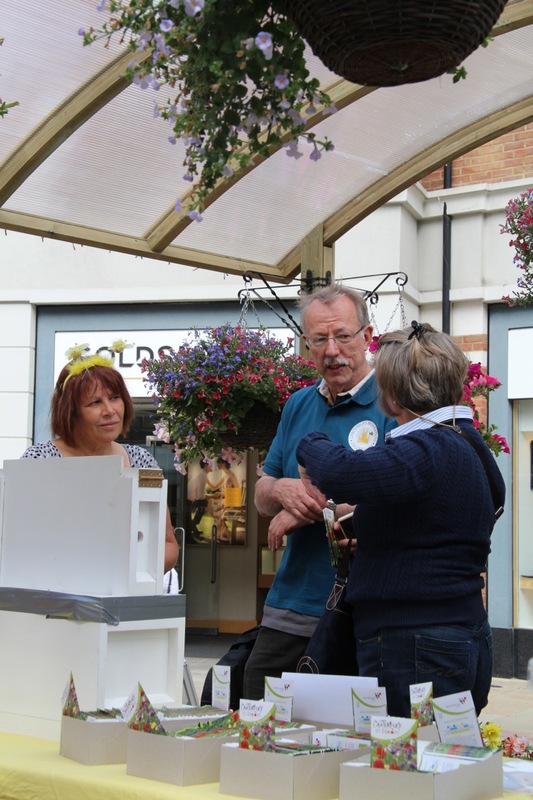 Thanks to club members, Chris Bailes, Jenny, Maggie, Dave, Tricia & David for giving up their time to man the stall and to Chris Bristow for co-ordinating the day. 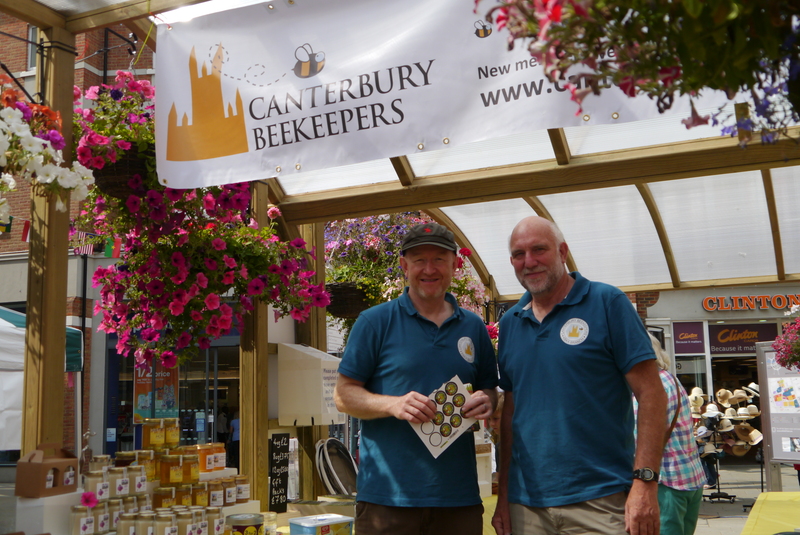 The management at Whitefriars were keen to see Canterbury Beekeepers there again and have invited us to have a presence at the Christmas market.